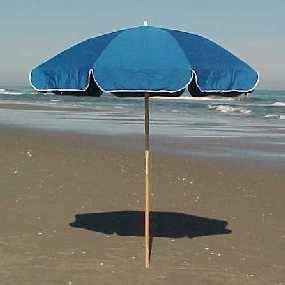 These beach umbrellas have an extremely durable canvas umbrella with wood pole and extension. 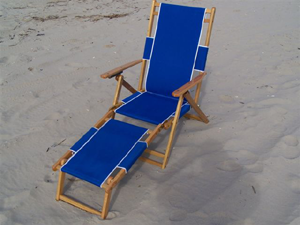 It is 8 ft. in diameter and offers an SPF rating of 35. For weekend deliveries, all items will be delivered between 1:00pm and 8:00pm on the day of your arrival, unless express delivery is selected at checkout. For weekend pickups, items will be picked by noon on the morning of your departure. You do not have to be present at the time of pickup, please leave all items outside in a fashion similar to how they were delivered.